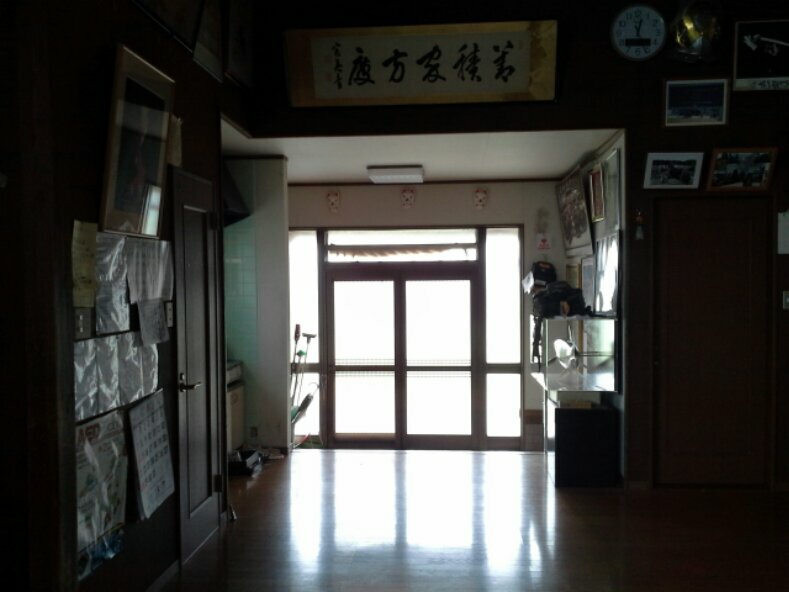 During the last class in Ayase at the Budôkan, sensei never repeated twice the same movement. Instead he was surfing from one opportunity to another. Written differently Ayase can be 怪瀬, “mysterious opportunity”, and indeed his movements were definitely mysterious and he was adapting his actions to any opportunity offered by the opponent. That was even more difficult for me as he asked me twice to demonstrate. Then he was expressing it in such a “mysterious ” way that I couldn’t repeat it! Apparently to an observer what he was doing was simple and obvious but when you had to do it, it was nearly impossible to copy. Once again I got totally lost! If we try to analyze, I would say that sensei was using a Sanshin consisting of Karada (body movements), maai (distance), and by not grabbing uke at all. Nagato sensei in a recent class reminded us of the Takagi Yôshin Ryû concept of 中一瞬 の 吉丁虫, “Amo isshun no tamamushi”, catching a bee in your hand and not being stung. The idea being to hold it softly, leaving a small kûkan inside the hand so that instead of attacking, the bee tries to find a way out. Remember that when a bee sings you, it dies right after. Each time it is a balance between life and death. Like the Takagi bee, uke is trapped in the kûkan generated by sensei but he is apparently free to move. Sensei applies tensions by moving his body naturally. No information is sent to uke’s brain therefore, uke continues to dig his grave, because from his perspective there are still opportunities. But it is like the “shicho” situation when you play go. At one point, Hatsumi sensei came to tell me how important it was to use kyojitsu: big/small, strong/weak, full/empty in order to force uke to react wrong. By playing alternatively with the increase and decrease of pressure with his body and his mind, Sôke creates suki (openings) and takes advantage of them instantly. I commented that it looked like a Kurage movement (jellyfish), and he agreed with a smile. Sensei is moving in a way that creates natural tensions and when they are created, he lets go. Uke is defeated by his own tensions. But because uke keeps trying to win, the form of sensei’s movement keeps changing. This is why sensei never did the same movement twice. This formless expression of taijutsu was also applied successfully with the Tsurugi in Mutô Dori taijutsu. Using the Sanshin: Karada, maai, no grab explained above. Your Kamae (attitude) forces uke to take action. Uke is free to move apparently but in fact he is caught in a mental and physical spider web. Once there, there are no escape. Walking to the light at the end of the tunnel, uke is destroyed by it. Funnily uke never sees the danger of his situation before it is too late. Until the last second he hopes to win. Then dies. In fact uke is あやせ, “ayase” (cuddled) by 怪瀬, “ayase”, (mysterious opportunities). A reblogué ceci sur LES NINJAS DU 91.
wonderful insights !!!! I once again thank you for taking the time to share from the font on knowledge. I went to Japan recently, and it all correlates perfectly with what could be seen there. This speak to the kokkoro. Great feeling. Thank you again, for sharing.